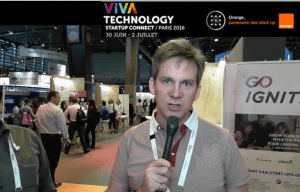 VivaTech exists to celebrate innovation. It is a global innovation event bringing together innovators, tech-lovers, and pioneers of the future. In the 2016 edition, there were more than 5000 startups, 30k Entrepreneurs, and 45k visitors. Voxist was lucky to be hosted by its incubator Dojo and we met with hundreds of visitors at our booth.